Pre-Qualification vs Pre-Approval. What's the difference? Purchasing a home is one of the most important and stressful events you’ll experience in your lifetime. It’s also one of the most exciting. Homeownership offers financial benefits like tax savings and wealth building, but it also offers some social benefits. Homeowners have a stronger sense of belonging and some even say it helps to build a stronger family unit. If you’re ready to take the leap, you’ll need to know exactly where to start. Although they may sound similar, there is a distinct difference between pre-qualification and pre-approval. Based on a buyer’s credit rating and the amount of income he has verbally communicated to the mortgage lender, a buyer can be pre-qualified for a specific home-buying dollar amount. It is not, however, based on any official verification of income and is not a guarantee of loan approval. Pre-approval is based on a buyer’s credit rating and submission of an official loan application. When the buyer is pre-approved, his application, which includes documented income and asset information, has already been submitted and reviewed by the underwriter and is a step closer to final approval. Do you need one vs. the other? Most real estate agents make it their standard practice to require their clients to be pre-qualified before they begin showing homes. While it can be an anxious and exciting time searching for your dream home, it can also be a stressful time for the seller. Requiring pre-qualification for potential buyers ensures the agent and the seller that the buyers are serious, are ready to move forward, and are respectful of everyone’s time and efforts. Conversely, having pre-approval prior to viewing any homes is not necessary, nor is it common practice. It could, however, demonstrate a stronger commitment, especially upon submission of an offer. After all, the pre-approval step is substantially farther along in the loan approval process than pre-qualification and could potentially shorten the time it will take to close the loan. When do you need pre-approval? When a buyer submits a purchase offer, it will typically include a finance contingency. The finance contingency will identify the number of days in which the buyer must obtain loan pre-approval from the mortgage lender. Typically, the number of days is fifteen, however, it can be any number that the seller and buyer agree upon. 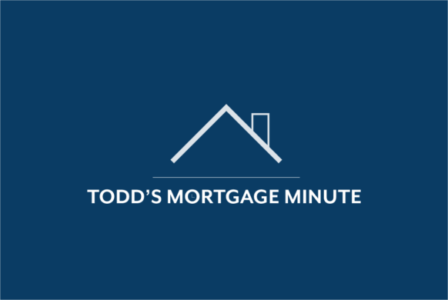 During this time, it is critical that the buyer submits a loan application and any supporting documentation to the mortgage lender on a timely basis. By satisfying the contingency and supplying a pre-approval letter, the seller gains a stronger sense of confidence that their buyer’s financials qualify them to purchase the home and that the loan will close. If you’re in the market to purchase a home, your first step should be to meet with a qualified, reputable mortgage lender to review your financial health, discuss your budget, and obtain a pre-qualification letter. Then, start gathering your supporting documentation so that when you find your dream home, your loan pre-approval will be a smooth and simple process.